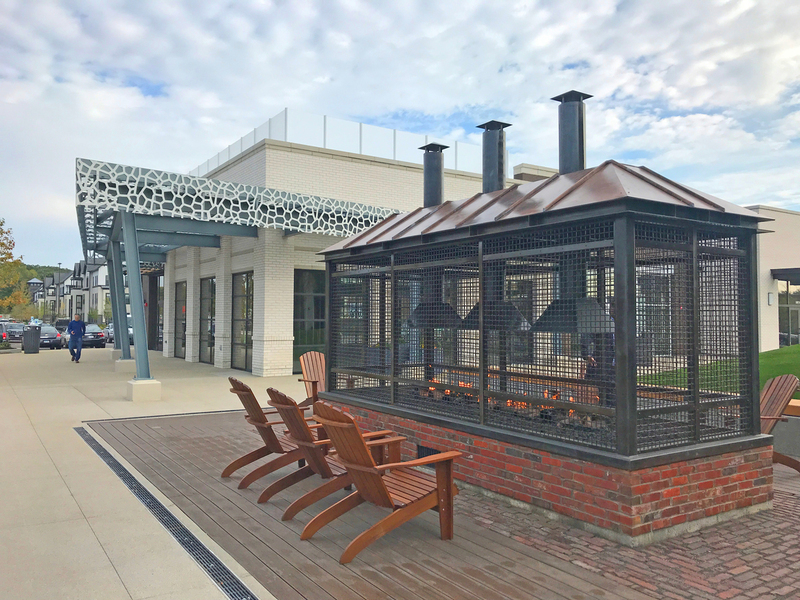 One of Regency Centers' latest developments, Mellody Farm, brings a taste of Chicago to the Vernon Hills suburbs. 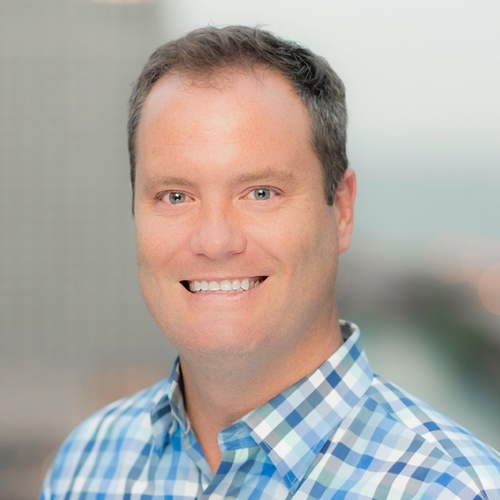 We sat down with Matt Hendy, Vice President, Market Officer, to learn more about the center's unique placemaking features. 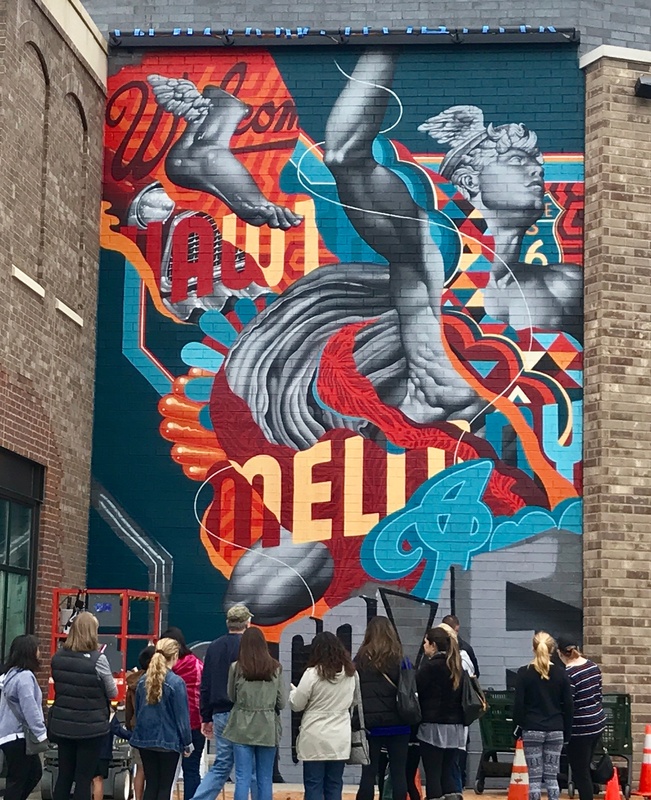 Regency Centers: Matt, tell us about the variety of artwork — from sculptures to artistic benches to several murals — at the center. Matt Hendy: "We wanted to find both local and national artists and artisans to participate in our placemaking. Tristan Eaton, a street art muralist who has works across the globe, was selected to create the signature piece for our project. He painted everything freehand with spray paint. It was awesome watching him work and he drew a large crowd during our opening weekend. We also wanted local Chicago artists, and were fortunate to meet and befriend Matthew Hoffman who is a rising star in the Chicago art world. He created the "you are beautiful" campaign, which is shown throughout the city. His signature cursive writing of short, powerful words and phrases made it a perfect fit. His "smile" mural and "all the best" sculpture will be fixtures at Mellody for years to come. We also worked with local artisans to commission all of our benches. 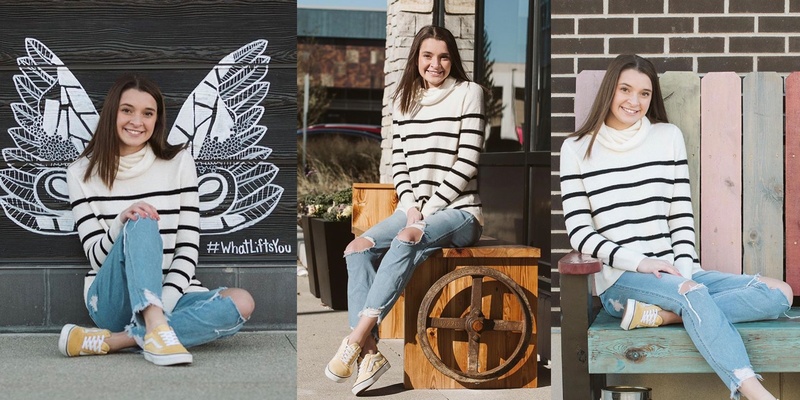 Property Manager Elliott Adamczyk has been doing a great job managing the process as well as cultivating some of his own designs along the way, many of which are going to be featured at Mellody. 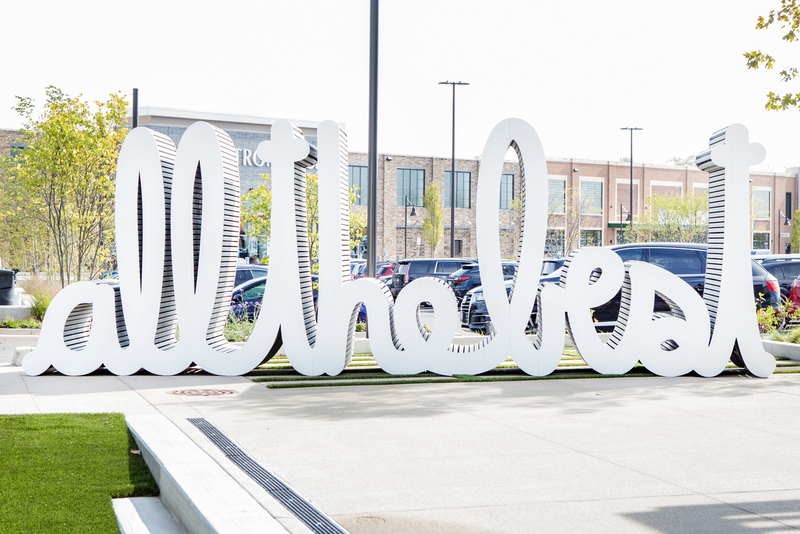 The Chicago office strongly believes that public art is something that creates a shopping experience and that a community can embrace." 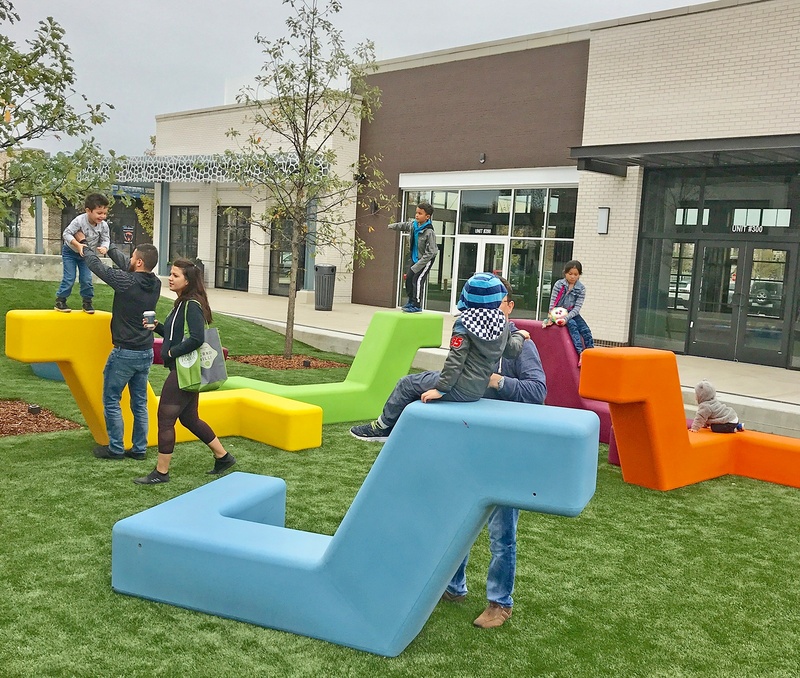 Regency: There’s a grassy kids’ play area with colorful shapes. Tell us about that area and the fireplace area behind it. Matt: Like all good ideas, imitation is the sincerest form of flattery. We got a lot of the inspiration for this area from a visit to the Los Angeles office a few years ago, and the farmer’s park project in downtown Anaheim. Synthetic turf, a small hill and simple shapes worth climbing on were all directly from that trip. We thought about our kids, and how even the slightest of intriguing things — such as a hill, or steps leading down into a park, can interest them even for a few seconds so that parents can enjoy a doughnut or an extra stress-free sip of coffee while the kids stay entertained. The synthetic grass will look great year-round with minimal maintenance, and as a bonus my kids won’t get in the car dirty after playing! Regency: What other placemaking features are there? How have people been utilizing/enjoying them thus far? Matt: The murals have begot more murals. 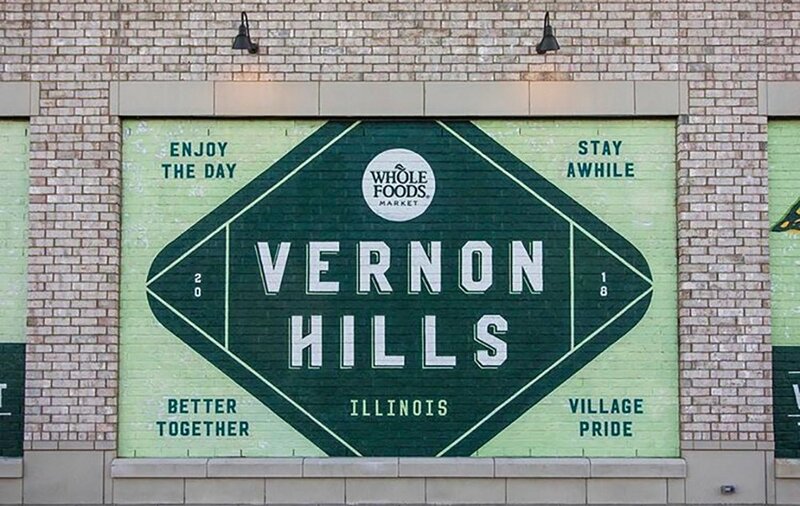 Whole Foods Market and several of our small shop merchants are now commissioning their own painted signs or murals on the exterior of their respective spaces. We had thought this might happen, so in our approval process with the Village we made sure the sign criteria was pre-approved for these. We have used lots of reclaimed materials, including barn doors, which sat for 100 years in the Chicago River protecting the Division Street Bridge. 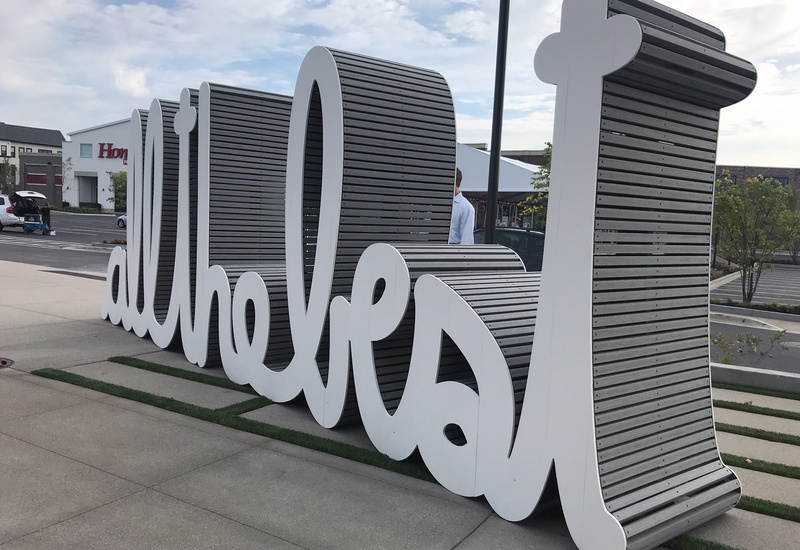 The "layer cake" gathering area was custom; with a local metal fabrication shop creating a 360-degree seating area that houses its own Burr Oak tree. The metal panels have large rivets that harken back to Old Chicago Street bridges you find all over the city and we found a varnish that creates an aesthetic that conveys an authentic, vintage feel. To follow Mellody Farm on social media, click here for Instagram or Facebook.